For such an ominous number, 2013 was a year of good fortune. KreweDCM celebrated the fates with our 7th Annual Parade: LUCKY 2013. 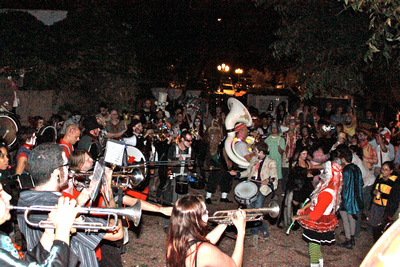 We upped our ante by partnering with the HONK!TX Festival for the first time. Fortune smiled and everyone went home a winner. A big thank you goes to our LUCKY 2013 in-kind sponsors–the Whitehorse and Cheer Up Charlies.